Oh the joy of a newborn! Everyone oohing and aahhing over the cute little features of the new arrival and trying to figure out whose ears or nose or eyes the new one has. Those features are genetic, but so are all the internal parts too—all the organs and all the cells. Do you really know what you are passing along to your child? Heart disease and high cholesterol are likely hereditary. So are genetic diseases such as Huntington’s. But there are so many others that are unknown. When I offered to write this article, my son Daniel had recently been diagnosed with a very rare genetic condition called Niemann Pick Disease, Type C. By the time I sat down to write it, he was dead. It took us 4.5 years to get a diagnosis and 4.5 months to live with it. Some genetic diseases are able to be diagnosed in utero. Down Syndrome is one example. Some are diagnosed at birth with the newborn blood screening test that almost every state requires, with some states testing for more diseases than others. Your state department of health can tell you which tests are performed. But some diseases require specialized tests, and in many cases the doctors don’t think about those tests until symptoms appear. By all appearances I had a healthy baby boy. Although born a few weeks early and on the smaller side, all indications were fairly normal. At his initial physical exam, he was found to have a large spleen and liver. A few days later he became jaundiced and needed antibiotics and light therapy. A three week NICU stay did not yield a diagnosis. He came home on an anti-seizure drug that is also used to clear blockages in the liver. Over the next year or so we not only had the routine pediatrician appointments, but we were also seeing a geneticist who was attempting to determine which lysosomal storage disorder he had. Due to his size, we had to prioritize blood tests due to the volume of blood needed. But everything was negative. Generally Daniel met his developmental milestones on time. Whatever wasn’t on time was attributed to being a preemie. His first noticeable delays were at one year, as he wasn’t standing on his own and wasn’t “talking.” But no one was really concerned. By age two there were more noticeable delays—no noticeable words, unable to follow one step commands, unable to identify body parts. Again, there were no answers from anyone, including the geneticist or hematologist. We repeatedly heard it could be this, it could be that. But every test was normal or negative. The blood cell structure looked good, and there were no obvious deformities in his cells or body. By age three we started speech, occupational and physical therapies because we finally had some documented developmental delays. But we still had no real diagnosis other than global developmental delay. Then Daniel got sick. It was the first time he was ever really sick. He may have had a common cold every now and then, but just for a few days. He never had an ear infection. But now he had diarrhea, vomiting, and breathing trouble. We started him on asthma breathing treatments and antibiotics. He never really recovered. His milestones started disappearing more and more. His walking gait became unsteady and he wobbled side to side. He babbled less and less. He slept more and more. He became dehydrated a few times and we went to the emergency room for IV fluids, chest X-rays and abdominal ultrasounds to check his spleen and liver, which were still larger than they should be. But still, no answers. An increase in therapies (speech, occupational, and physical) didn’t yield any corresponding increase in skills. On the contrary, he seemed to be going backward more and more. He couldn’t even walk to the door to greet me when I got home from work any more. After being shuffled from specialist to specialist—including genetics, hematology, and gastroenterology without an answer–we wound up at neurology. At age three and a half a swallow study showed an increased risk of aspiration. An MRI showed decreased myelination. Myelin is the “insulation” on the “wires” in the brain. The amount of insulation was not what it should be for a child of his age. After a few visits, we were referred to neurology at Boston Children’s Hospital. Since the decreased ability to walk was the most obvious sign, it was expected that the muscles or nerves in his legs weren’t communicating with his brain. But again, the anticipated result to the electromyography—a technique for evaluating and recording the electrical activity produced by skeletal muscle—never materialized. His muscles and nerves were working perfectly, as was the connection from his muscles to his brain. So again, no answers. By age four his regression became very significant. Daniel wouldn’t walk unless he was holding your hand. His ability to feed himself was seriously diminished, and he was drinking more than eating, still using spouted, lidded sippy cups. Most of his discernible babbling sounds were gone. Daniel put less and less weight on his legs and walked less and less. He napped more and more. He spent more time sitting in his chair or being carried. He couldn’t walk up steps or to his room to go to and from bed. This was the first time a doctor mentioned testing him for Niemann Pick Disease, Type C.
He started experiencing osteoporosis or thinned bones, requiring a significant increase in vitamins and calcium rich food. But it didn’t seem to help. We started keeping a food log and noticed that over four months he dropped from 1000 calories a day down to 800 calories. Two months later he weighed less than 22 pounds, down from 35 pounds. He was choking on almost everything—liquids, purees, solids. It was taking him two hours to eat four ounces of yogurt and then he would nap for three hours. Another trip to Boston Children’s resulted in a three week hospital stay with an admitting diagnosis of dehydration, malnutrition and an inability to swallow. An NG tube, EEG, MRI, blood tests, urine tests, and skin biopsies were all done. The NG tube became a G tube before we were discharged. 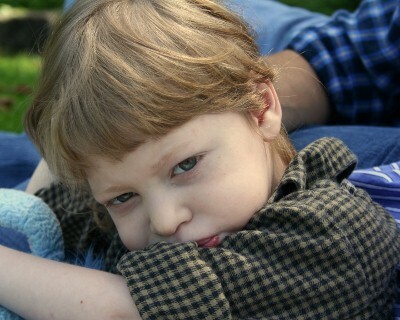 At the end of the second week, on June 24, 2011, we got the diagnosis that we feared. Our son had Niemann Pick, Type C.
Our first question was what is Niemann Pick, Type C (NPC)? It is widely known as “childhood dementia,” but it is more than that. It is a lipid storage disease that can appear in infants, children or adults. This autosomally recessive genetic disorder causes progressive deterioration of the nervous system. It typically affects children by interfering with their ability to metabolize cholesterol, allowing cholesterol to accumulate in the liver, spleen, and brain. Both my husband and I are carriers. We didn’t know we were carriers until after Daniel’s diagnosis. If we decide to have another child we run a 25% chance of having another child with the same disease. But this child will be tested at birth so we can start active therapy early. Type C most often strikes school-aged children, but can also start during infancy or early childhood. Children experience a wide range of symptoms including jaundice after birth, enlarged liver and spleen, difficulty with upward and downward eye movement, unsteady gait, clumsiness and problems walking, difficulty in posturing limbs, slurred or irregular speech, learning difficulties and progressive intellectual decline, sudden loss of muscle tone often leading to falls, tremors accompanying movement, and, in some cases, seizures. The speech and swallowing difficulties eventually become disabling, making oral feeding impossible. Death usually occurs in the late second or third decade from aspiration pneumonia. There are less than 500 diagnosed cases in the United States. Our second question was what are the treatment options? Unfortunately, there are very few. There is no approved drug to treat NPC. There are some drugs that are being prescribed off-label, and some that are being reviewed. All we could do is treat his symptoms. There is no standard progression of the disease and no standard treatment. My loving boy went from running around the back yard playing on his swing set and babbling with bright eyes and a contagious laugh to being non-verbal with a feeding tube and an inability to stand or walk unassisted. All in less than two years. Looking back he had many of the signs and symptoms, but no doctor identified them as being linked together. Previously, even though he was choking and aspirating on most foods, he still ate. Now he was tube-dependent. Nothing by mouth, not even medications. He couldn’t roll onto his tummy due to the tube. He started choking on his saliva more and more. He was constantly congested, but asthma and nebulizer treatments didn’t help. He spent his days on the couch watching TV and smiling less and less, laughing less and less, coughing more and more, and sleeping more and more. Four months after our diagnosis we got his PEG changed to a Mic-key G-button. It made it easier for him to roll on his tummy and it was definitely less cumbersome. But he was becoming more and more distant, and the seizure-like activity detected on his EEG was likely progressing to seizures. The dementia was likely setting in. He was aspirating on his own secretions, even with frequent suctioning. Right around this time I was reading the blog of another mother of a child with NPC who was dying. And I was seeing some of the same signs—bloating with tube feeds, smelly dark urine no matter how hydrated, constant suctioning and congestion, white thick secretions when coughing. Although it was difficult to read my friend’s blog and I cried way too often for their family, I also knew what we were facing. We went through our nighttime routine of medications and feedings. Daniel kept curling up in a fetal position in bed and burying his head in blankets. He was fine at 12:15am. At 1:45am his apnea sensor was blaring—20 seconds without movement. By the time we got into his room he was unresponsive. CPR yielded fluid in his lungs and we got a little of it out, most of which was the feeding formula. Then some blood. We knew, but we had to try. An hour later the team of doctors in the local emergency room asked us what we wanted to do. We told them it was OK to let him go. My only child was dead! And there was nothing we could do! It was Veteran’s Day—three and a half weeks before he would have been five. The final picture I have of him is in the emergency room after they cleaned him up. He was finally at peace, and it looked like he was holding the blanket they put at his waist. 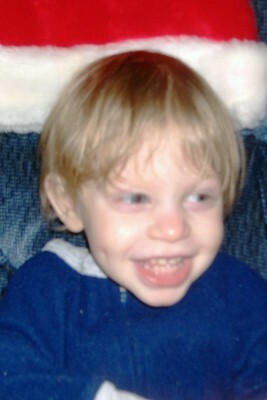 The only thing I wanted was Niemann Pick Disease to be on his death certificate. My son’s death was not to be glossed over with a general cause of death. The doctor granted my request. We don’t know what actually caused his death, but we believe it was another seizure. Daniel’s neurologist in Boston still wants to meet with us at what would have been his next scheduled appointment in mid-December. He already has most of his records, but I will make sure he has every piece of paper I can get my hands on. I also will be bringing a video of Daniel’s life with me, because seeing is more important than reading the words on the paper. Although my Daniel is gone, he will live on, by teaching other doctors and parents about this disease and how early diagnosis is essential. More information on this disabling disease is available at the National Niemann Pick Disease Foundation website at www.nnpdf.org. Jill Flinton lives in upstate New York with (now) a husband, two stepsons, a dog, and a cat.